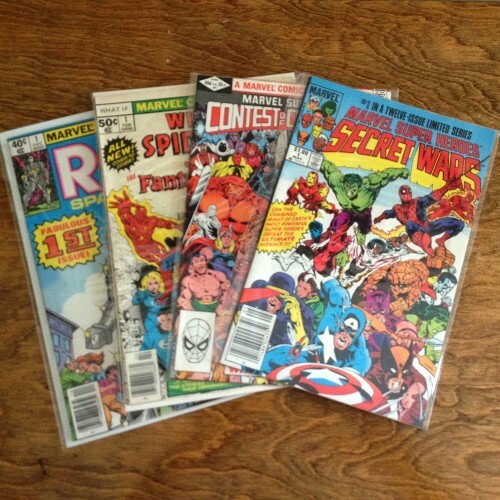 Vintage comic collection for sale – more than 2,100 books! 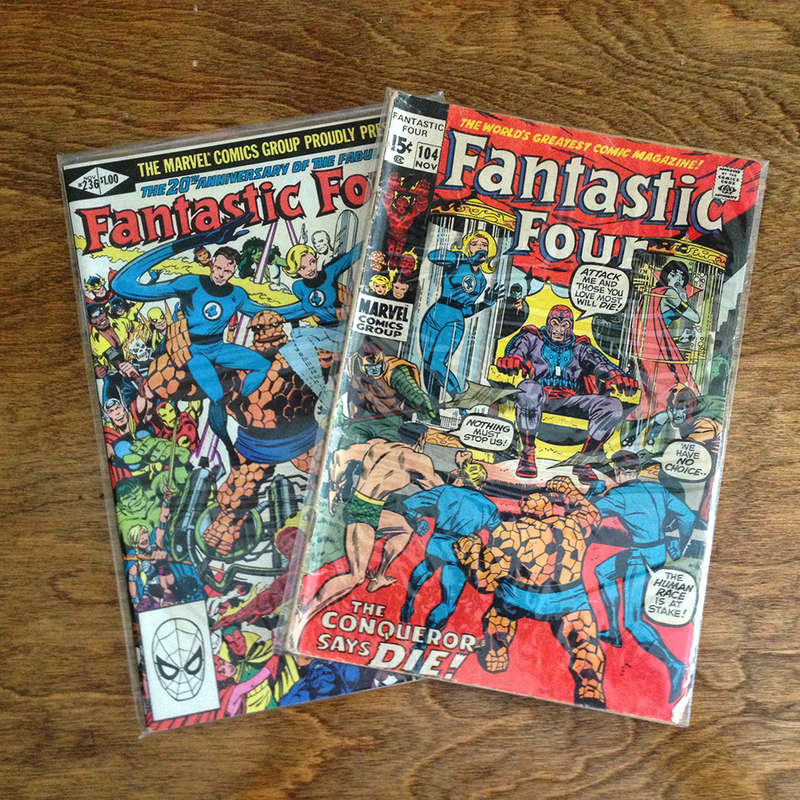 It is with a nostalgic heart that Beloved is parting with his collection of comic books loving collected at comic stores, flea markets and used book stores over the last 30 years. In his words, “It is time for someone else to enjoy my collection.” Could you please feel free to share this information with your networks? 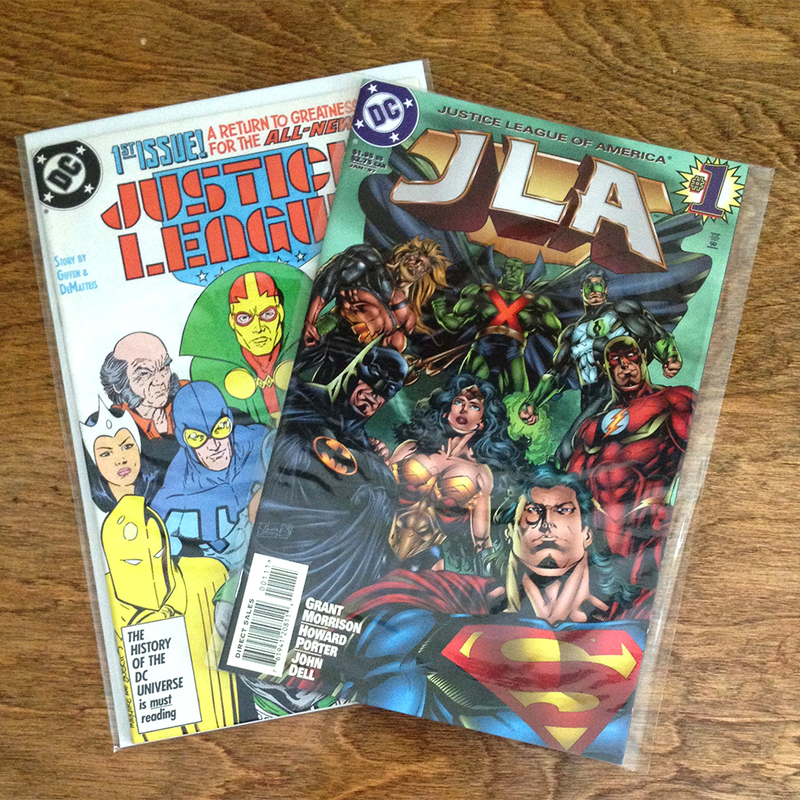 I’m thinking there may be a comic geek or three in my extended bloggy network. I can tell you that these are well cared-for books, as any suggestion I made that they be stored in, say, the garage was met with horror. They’ve been stored upright, individually wrapped, dry and flat. 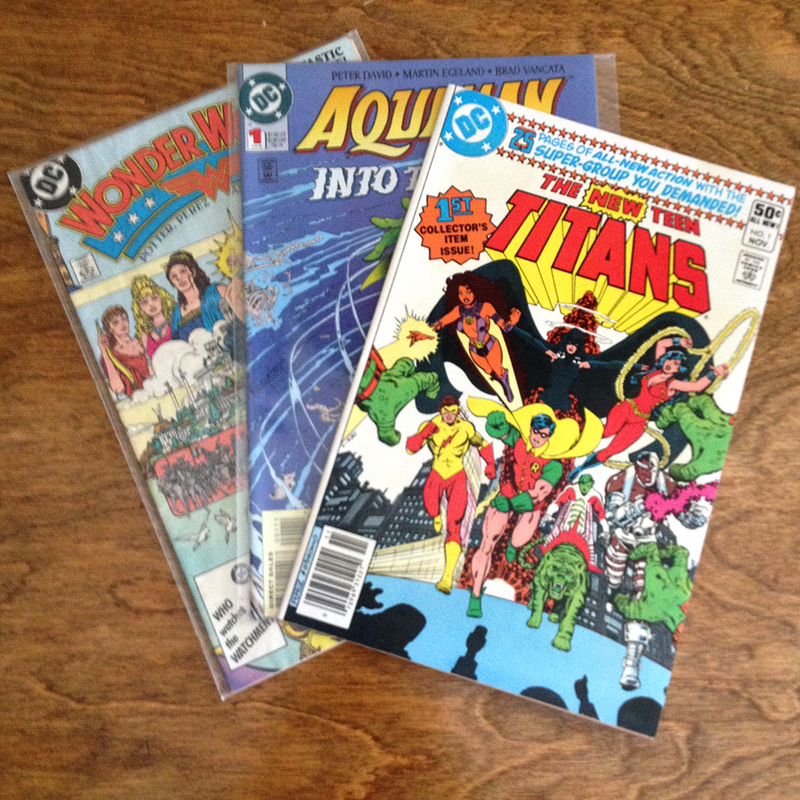 The collection comprises mostly Marvel and DC titles with a few Dell Four Color and Classics Illustrated, and the books were published from the 1970’s to the 2000’s. There are large runs of titles such as Avengers, New Mutants, Teen Titans, Fantastic Four, What If, Suicide Squad, Superman, and the various Justice League titles. He is willing to sell full runs of individual titles, but not individual issues. Feel free to leave a comment below if you’d like to see the spreadsheet with all the titles, or email me at danicanada (at) gmail. Please share this with your geeky friends! Previous post: I listened to you and let Lucas play keeper. You won’t believe what happened next!